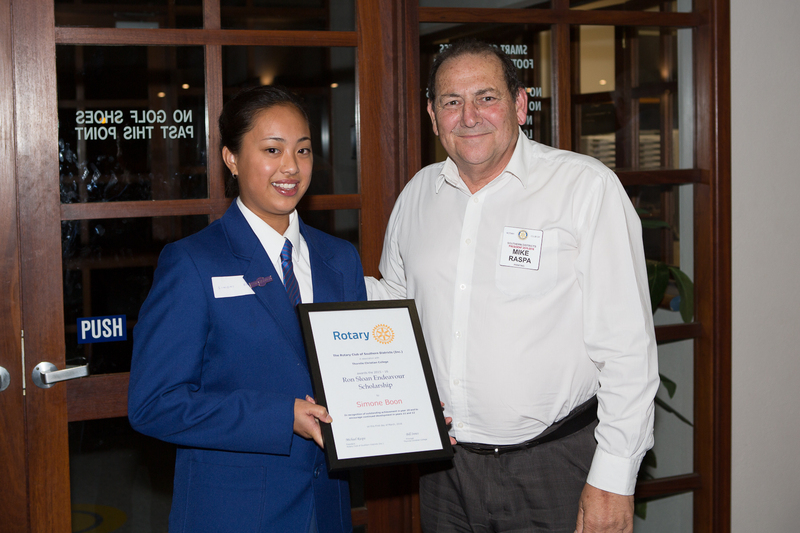 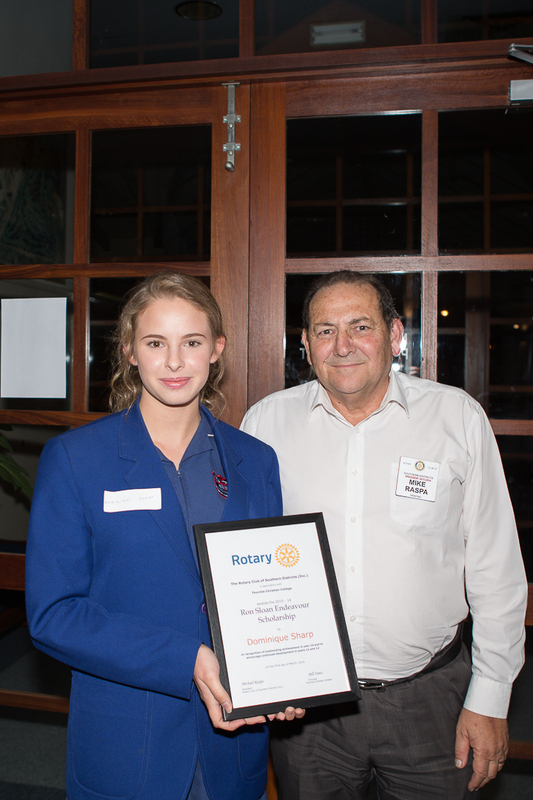 The Ron Sloan Endeavour Scholarships is a unique program within the Rotary Club of Southern Districts Vocational avenue of Service. 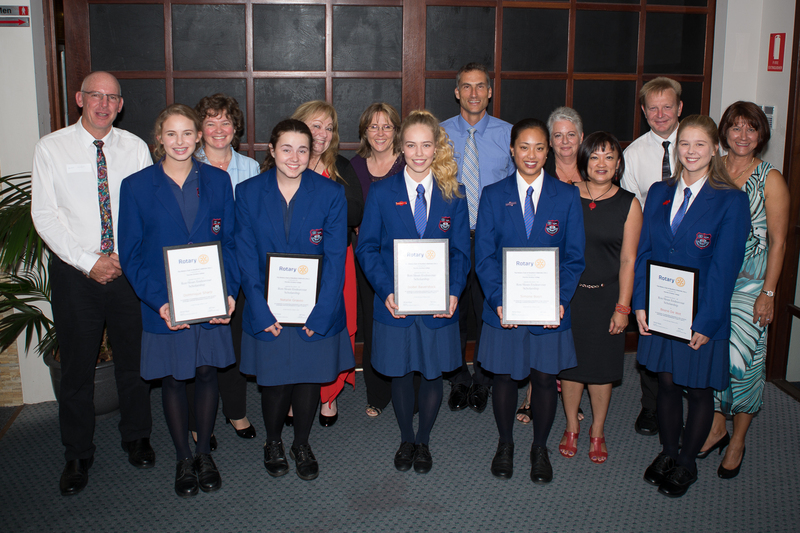 It provides support for students who have achieved academic success in year 10 through their next 2 years in High School and it is designed to give these students a value base to commit to excel in their chosen career path whether it is Professional or Vocational. 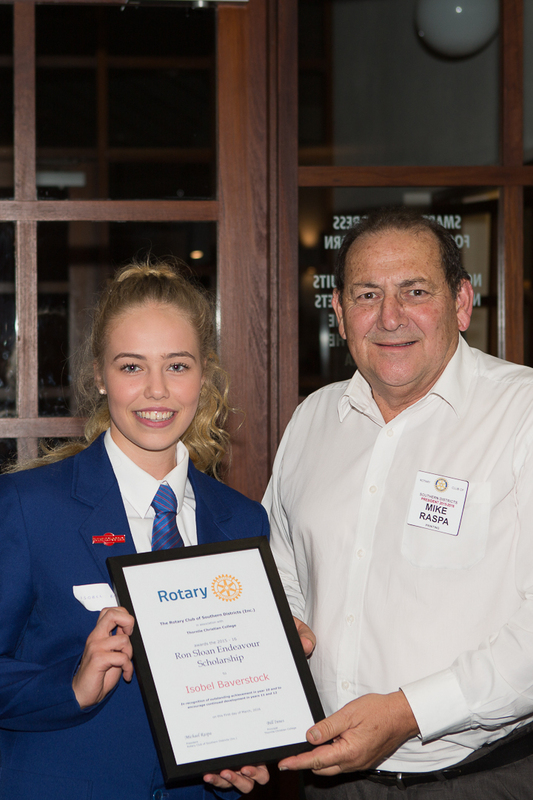 The Scholarships are named after Mr Ron Sloan who is a founding member of this club, a former president and also a District Governor of Rotary. 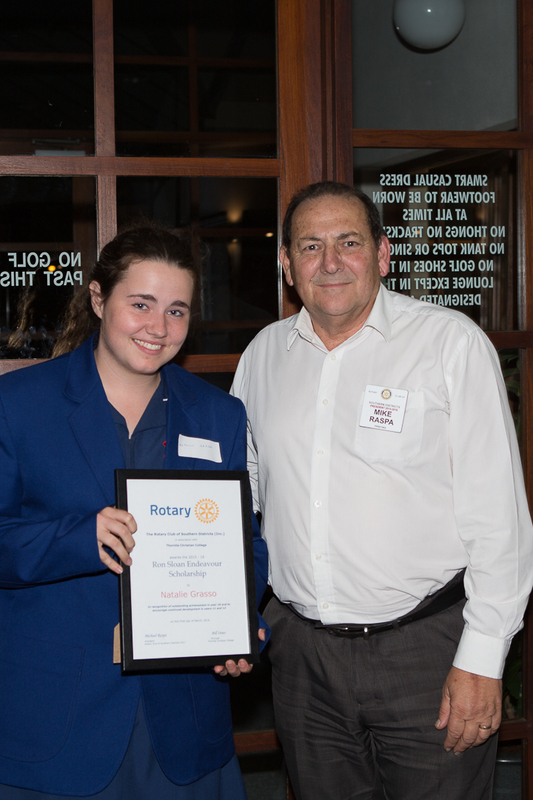 He is an outstanding example of our motto of ‘Service above Self’, not only in Rotary but in his local community and the wider and international communities. 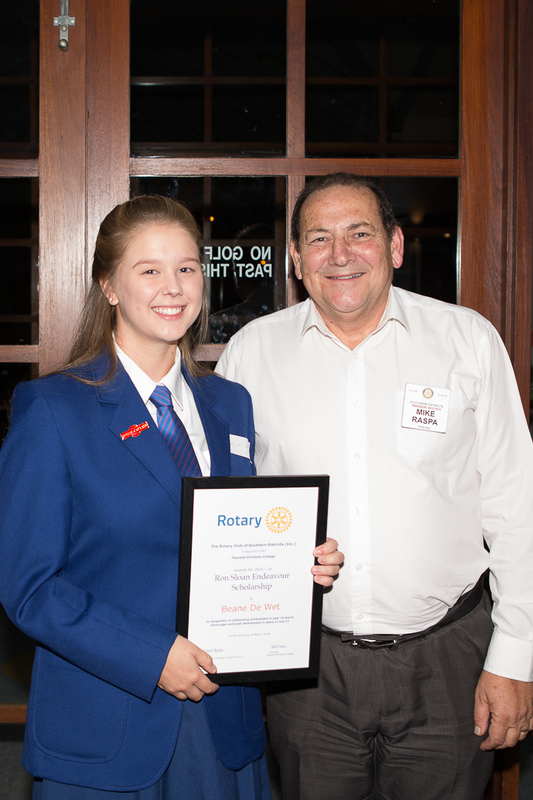 Ron has a deep passion about the advancement of youth through our individual vocations and is dedicated to using Rotary to further Numeracy and Literacy programs wherever they are needed. 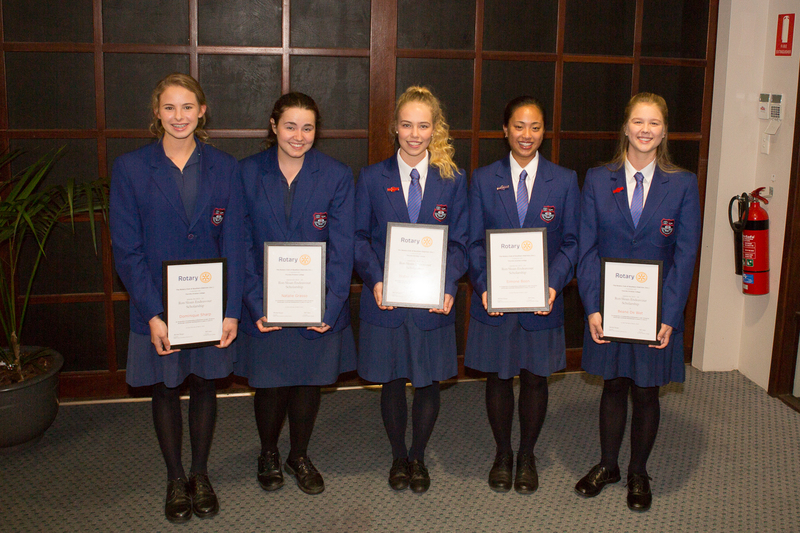 2016 had five awardees who all presented professionally and showed the club why we should not be worried as the country is going to be in some very safe hands in the future. 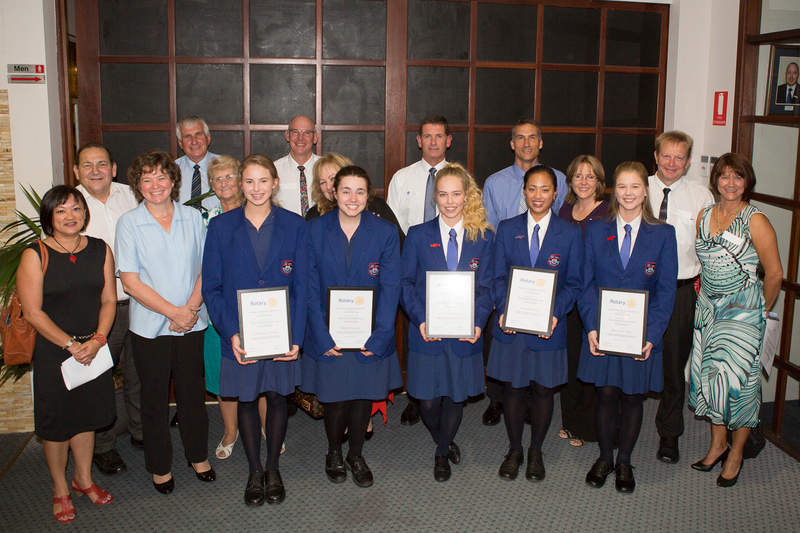 The Endeavor Awards are selected by each school and presented with a financial scholarship to assist in the costs of their education.